Sprinkle your trophy giving with this fun alternative to the usual gold ones. This fun trophy features a football player with a head that wiggles and bops. 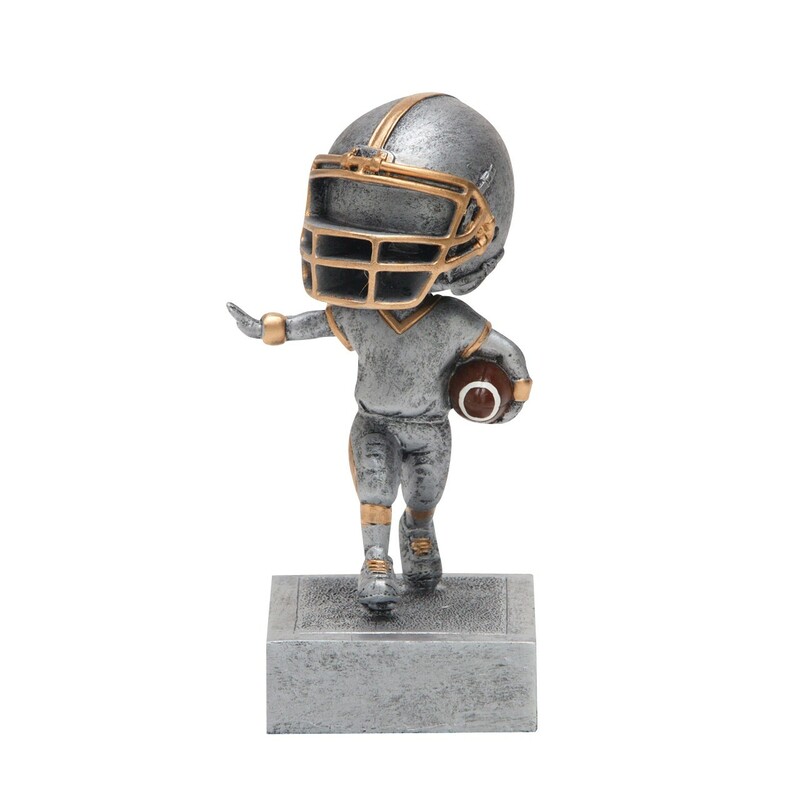 The bobblehead statue is solid resin crafted to resemble antiqued pewter with gold highlights and includes a brown and white football. 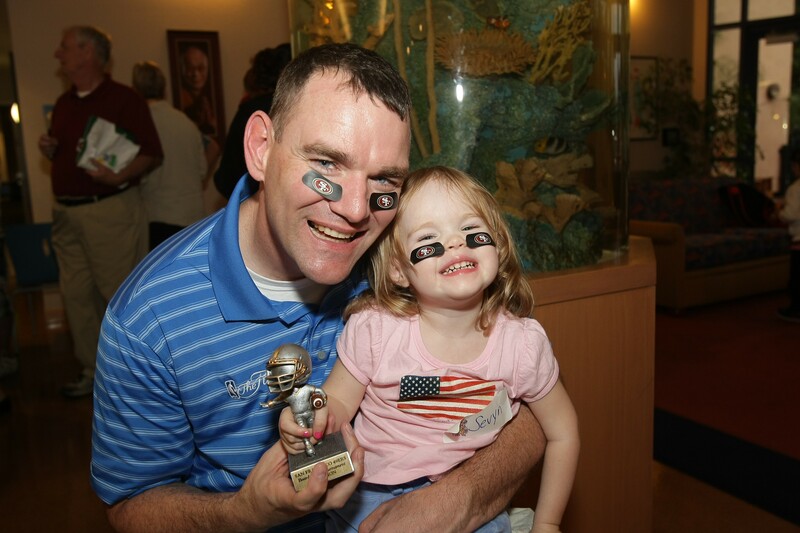 Add a dose of fun to your awarding ceremonies with the Fun Football Bobblehead Trophies!